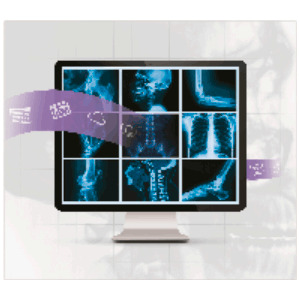 Exa Pacs - on the forefront of Health IT advancements - this entirely web-based, zero-footprint, radiology software platform is far superior to other PACS systems available on the market. Exa was designed with the purpose of providing never before seen speed and workflow efficiency with the most advanced features and tool-sets available. All prior PACS have been forced to sacrifice speed or functionality, but Exa delivers both. Exa’s zero footprint (ZFP) viewer offers full diagnostic toolsets and viewing capabilities from any computer. ZFP allows for immediate viewing on any consumer grade PC with no downloads, plugins or installations necessary. Software updates are now implemented across all users instantly through the centralized software. Contact us today to learn more about EXA PACS for your facility.